What actually is tea? That’s a stupid question, or maybe not so? On a very superficial level, everybody might initially believe to be able to answer this question. However, when actually trying to do so, many people will realize that they have greater difficulties answering it then initially thought. Or that they can think of more than one answer, but cannot decide which is the right one. 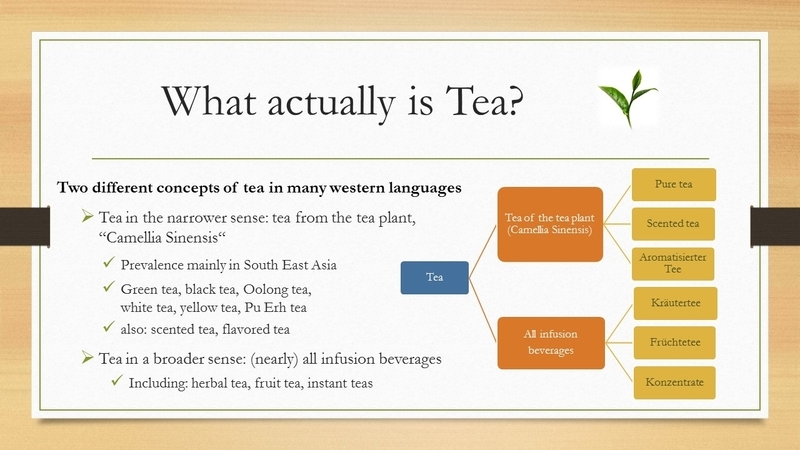 One of the greatest, if not the greatest challenge with gaining a clear understanding of what actually is tea is the ambiguity of the word tea in the English and many other western languages. It might happen that we’re chatting with another person about tea, but after a while realize that we do not seem to be talking about the same thing. In most cases then, this will be due to the fact that in English language we have (at least) two completely different concepts of tea. One of these concepts refers to tea in the narrower sense, i. e. tea that is produced from leaves of the tea plant – Camellia Sinensis. The Camellia Sinensis is an evergreen shrub, bush, or tree of the Camellia species. The tea plant’s generic name translates to “Chinese Camellia”. Traditional and main range of the plant until today is South East Asia. There, it mainly prevails in the countries of China, India, Nepal, Indonesia, Sri Lanka, Japan, Taiwan, Myanmar, Laos, Vietnam, Thailand and Korea. 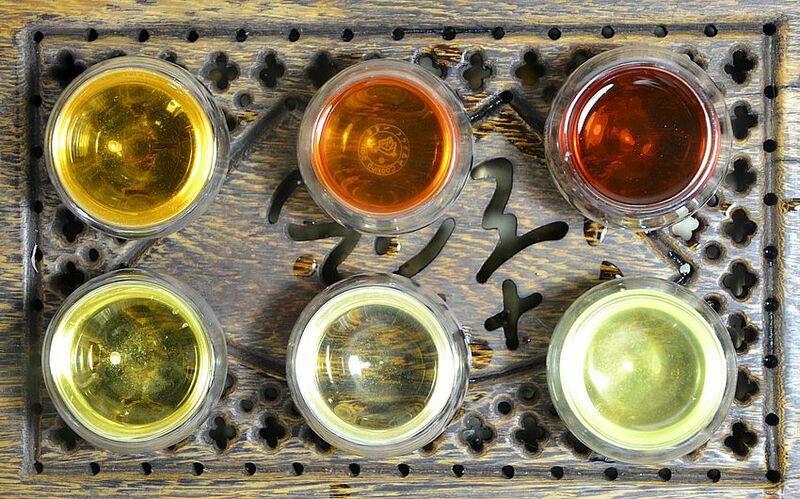 Most readers will be familiar with the concepts of green tea and black tea to some degree. 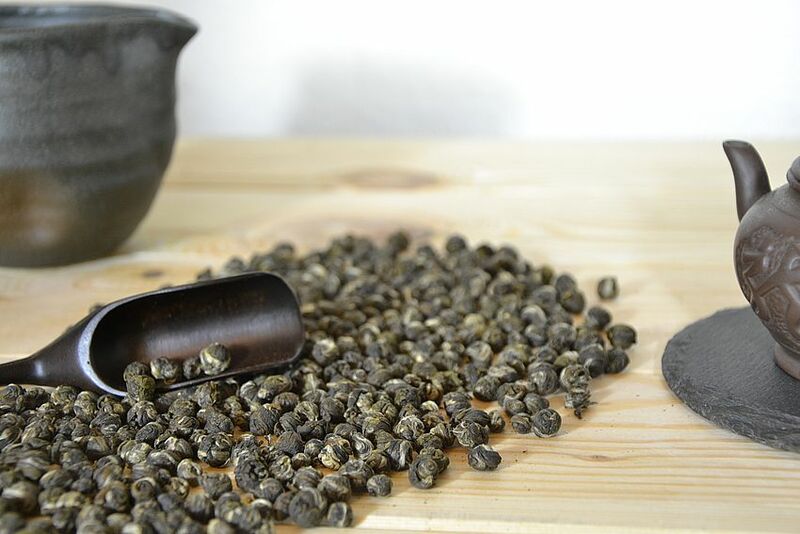 Some will probably also have heard of Oolong tea, white tea, yellow tea or Pu Erh tea already or even had a chance to try these types of tea or any of them. 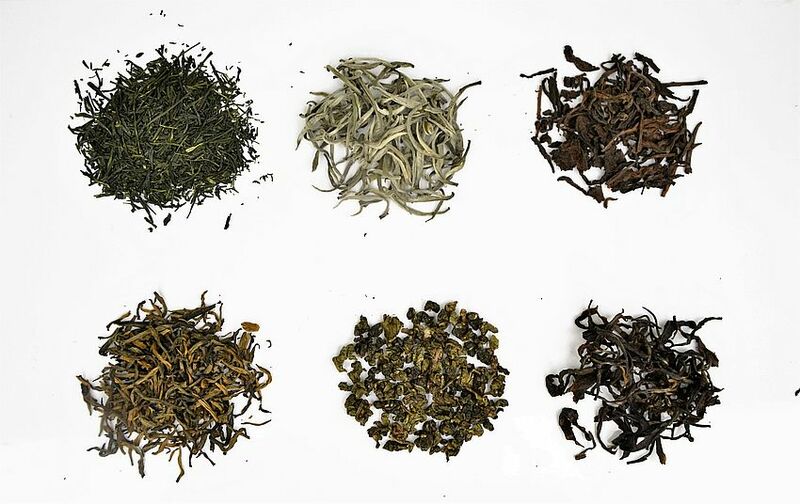 In their pure form, all these teas are tea in the narrower sense, i. e. tea that is produced from leaves of the tea plant without any further additions or ingredients. Already not that pure anymore, however, still tea in the narrower sense, as based on leaves of the tea plant, are scented teas and flavored teas. To produce a classic scented tea, taste and aroma of a natural aroma donor are transferred to tea leaves of the Camellia Sinensis. Aroma donors at this are usually aromatic herbs, spices or blossoms that are processed together with the tea leaves. A well-known example for such a classic scented tea is the widely popular Jasmine tea. A skillfully performed classic scenting – after which the foreign aroma donor often is sorted out again – will result in a harmonious blend of the used basis tea’s and the natural aroma donor’s flavors. For most flavored teas in more modern terms, however, also industrially produced aroma agents will be employed. Here, the tea leaves of the Camellia Sinensis will quasi serve as a carrier material of the foreign aroma, while the used leave material’s own taste is partially or widely overlain. 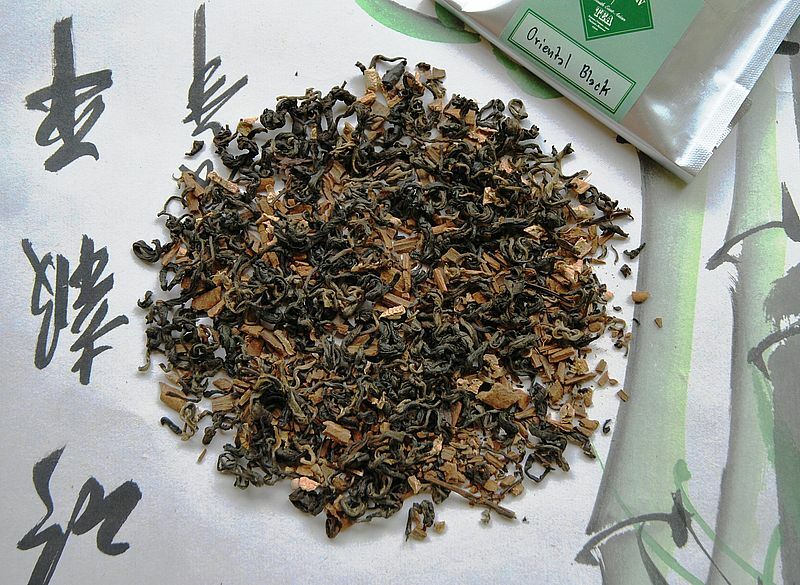 This is why for producing such flavored teas, typically rather lower grade leaf material is used. 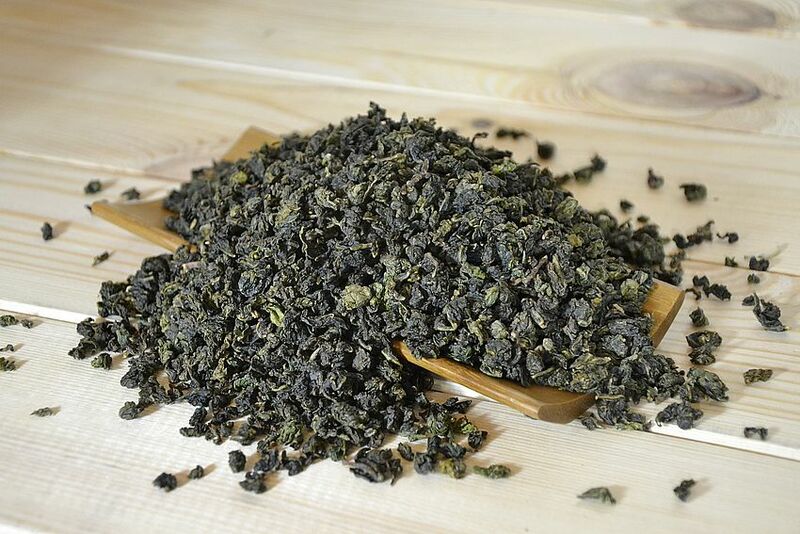 An example for a flavored tea that enjoys high popularity in western countries would be “Milky Oolong Tea”, which is produced both in Taiwan and in China. The second concept of tea common to English language use is much broader defined and simply means all infusible beverages. Besides tea in the narrower sense, among these also count herbal teas, spice teas and fruit teas, as well as a variety of concentrates, granulates and instant products that will produce a more or less “tea-like” beverage through the addition of hot or cold water. 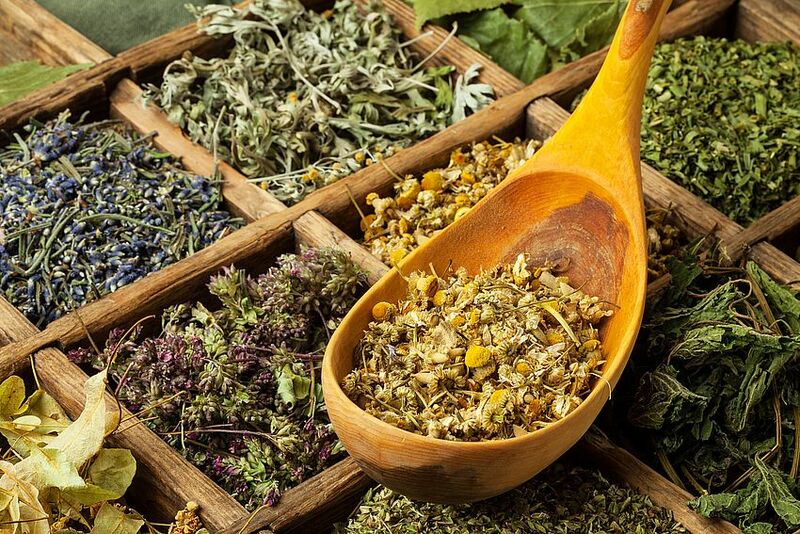 Herbal teas or tisanes are either produced from one plant (“mono drugs”) or as blends of several herbs, in order to achieve specific taste outcomes or health-related purposes. “Tea herbs” native to western countries are the highly popular different types of mint, fennel, melissa, chamomile and stinging nettle, just to name a few. Other examples for herbal infusions that are popular in the west, but come from other regions of the world, would be rooibos, roibush or red bush tea from South Africa and mate tea, coming from the south Americas. Fruit teas usually consist of a basis blend made from natural ingredients such as apple or strawberry slices, hibiscus calyxes, rose hip and orange peel. These can be combined with additional, also natural ingredients such as fruit pieces or spices that serve either the visual or taste refinement. However, most fruit’s flavor won’t be released to an infusion at all or to an insufficient extent, so that many fruit teas need additional flavoring with industrially produced aroma agents. 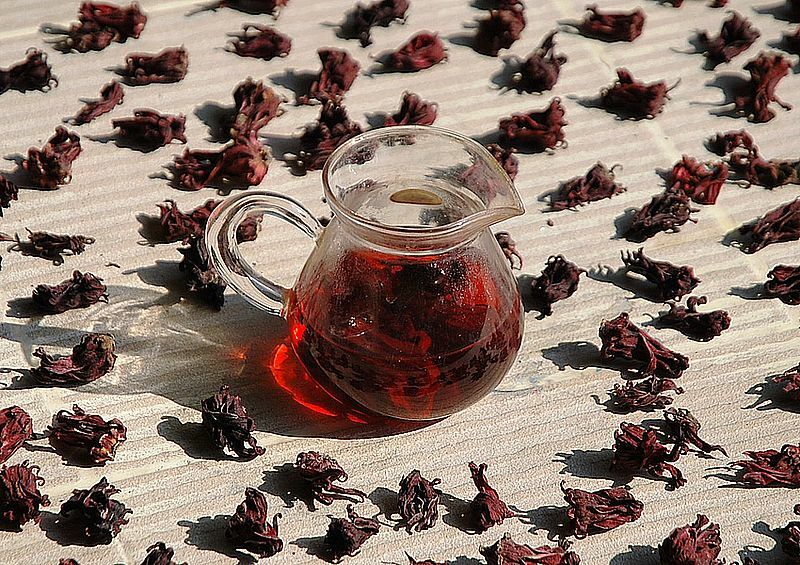 Both the fruity taste and the color of the red fruit teas common to western countries are usually produced through a portion of dried hibiscus calyxes in the blend. Spice teas are all common and individual versions of the classic Indian Chai tea blend. Typical ingredients include cinnamon, cardamom, ginger, clove, anise and black pepper. However, there are many different versions, featuring the most different ingredients existing, as well as versions, where the spice ingredients are added to a black tea basis. In dedicated shelves of supermarkets and discounters, you’ll find many more products that are offered as a type of tea in the one or other way. Among these falls, for example, a variety of powdered or granulated instant teas, as well as the huge portfolio of different ice tea formats on offer. 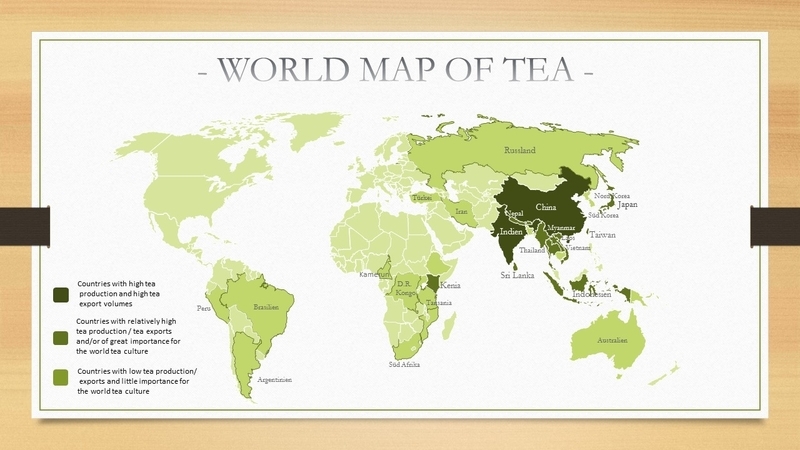 Where in the following I’ll talk about tea, I will exclusively refer to pure tea in the narrower sense, i. e. tea that is produced from leaves of the tea plant only. Who now might think of this as a rather limited topic, will certainly be disabused in the further course of this seminar. That is to say that in fact the Camellia Sinensis has much more than just one face. When I just said that the Camellia Sinensis has more than just one face, this was still an exorbitant understatement. In fact, the Camellia Sinensis also doesn’t have two, ten or any other really quantifiable number of tea plant varieties. Much rather, there’s virtually an uncountable number of tea plant varieties, sub-varieties and cultivars – the thousand faces of Camellia Sinensis. The two main sub-varieties of the Camellia Sinensis are the Camellia Sinensis Sinensis (C.S.S.) 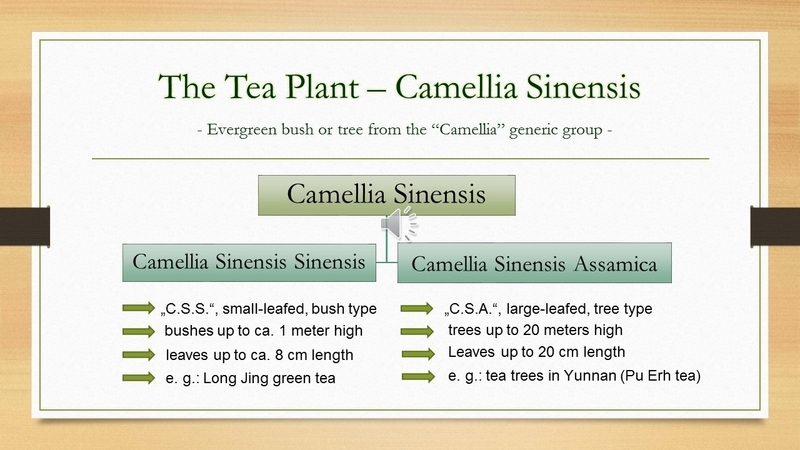 and the Camellia Sinensis Assamica (C.S.A. ), at times also referred to as “Thea Sinensis Sinensis” and “Thea Sinensis Assamica”. The small-leafed Camellia Sinensis Sinensis, with leaves up to about 8 cm length, grows in the form of shrubs and bushes up to beyond 1m high, if it’s allowed to do so. A well-known representative of the CSS would for example be the world-wide famous Longjing green tea. 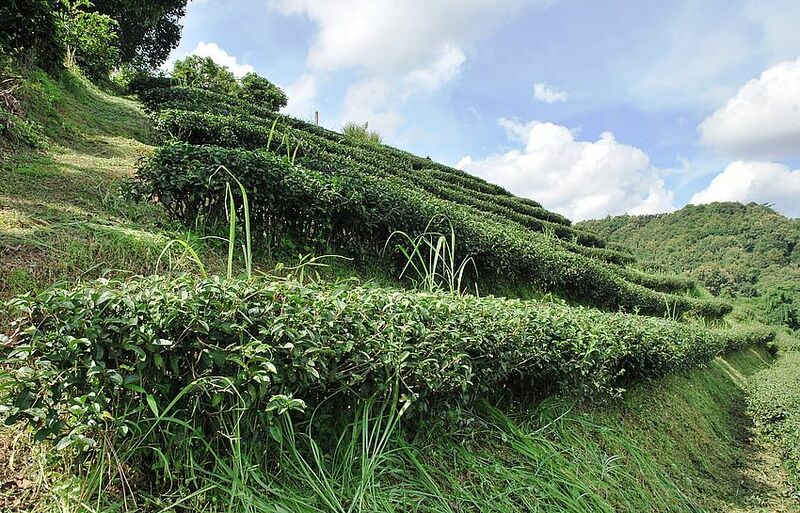 In order to promote the driving of as many as possible new branches and leaves in spring and thereby maximize their yield, conventional tea farmers will annually cut their tea bushes down to a size around 50 centimeters. As a consequence, branches and tea leaves will grow so densely that no space in the tea garden is wasted and a maximum yield is enabled. 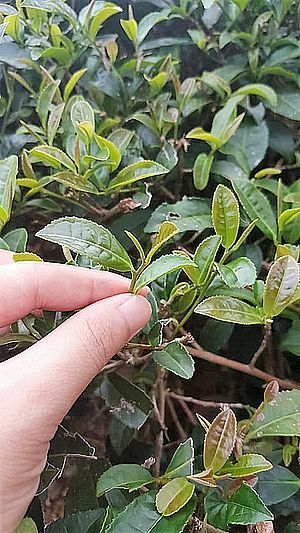 Really picked from the tea plant, however, are only the youngest and thereby also smallest leaves at the upper end of each branch (the so-called “picking standard”). With many varieties, these won’t be more than 2-3 cm in length, making the picking of high grade leave teas a particularly time- and work-intense process. 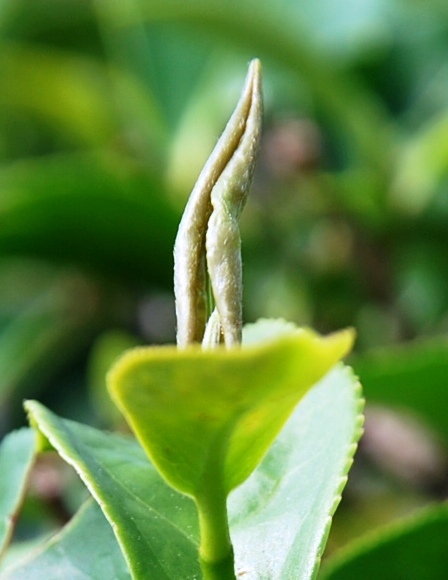 The leaves of the large-leafed Camellia Sinensis Assamica tea tree, on the other side, can reach a length of up to 20 cm, while the tree itself can grow up to 20 m high. For the aforementioned reason of yield maximization, the tea trees are also regularly cut down to a well-manageable bush size, where cultivated in a conventional setting context. 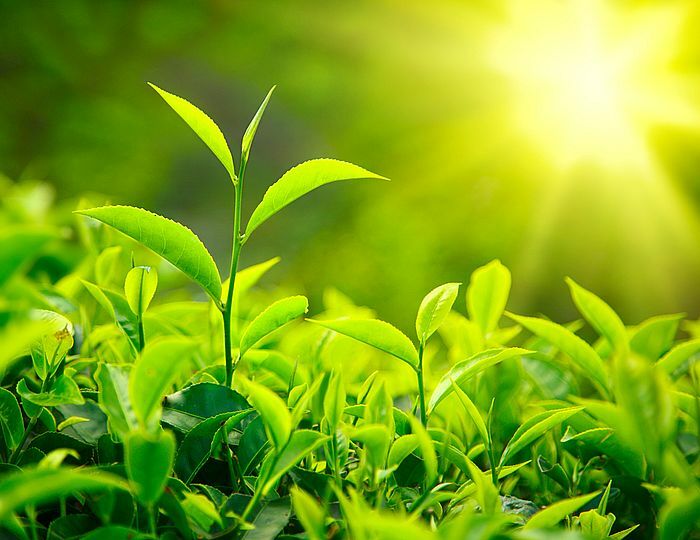 Just like with CSS, for high grade assamica teas only the youngest bud and the two adjacent leaves to it are picked from the top of each branch. Because of the significantly larger leaves, pickers might have to pluck less leaves to achieve the same net weight, but in turn the leaves grow much thinner on CSA trees than with bushes of the CSS variety, plus the trees will grow much thinner in the tea garden or wild tea tree reserve. 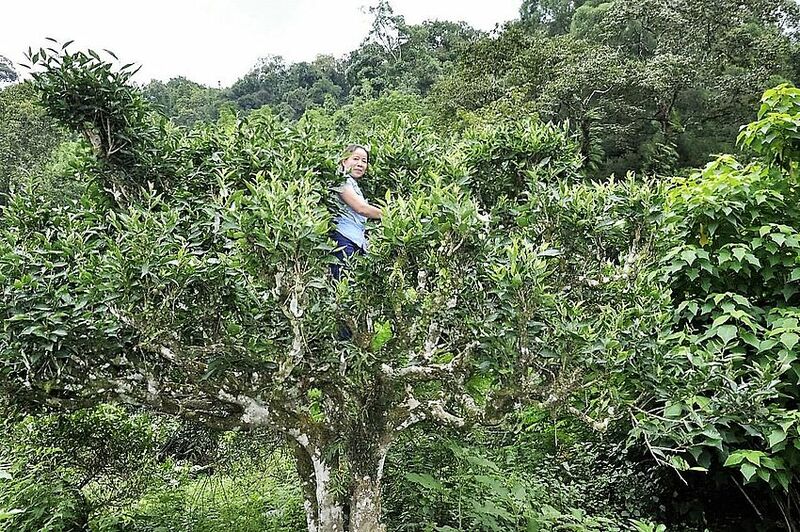 To this adds that especially non-cutback tea trees, as can still be found in Yunnan and some other south east Asian countries, have to be climbed for picking. 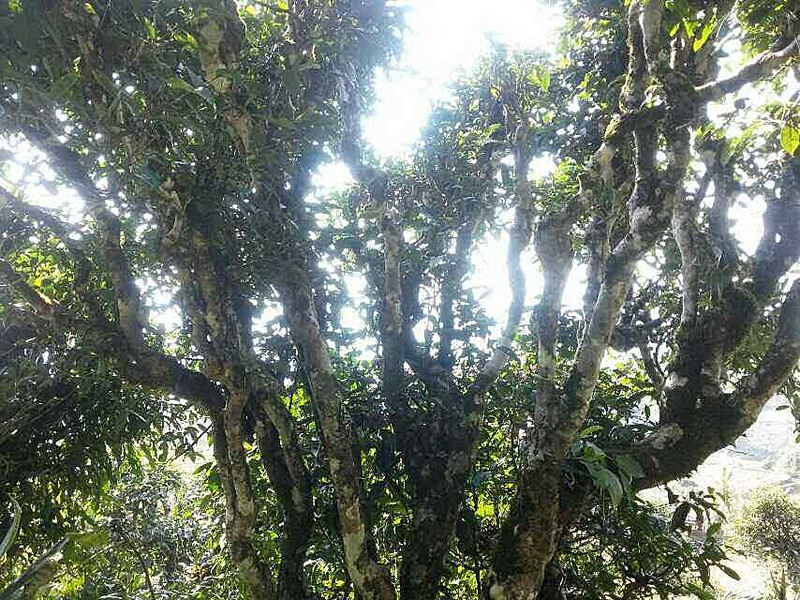 The transition from the tree to the bush format is marked by rather high tea bushes and/or comparably small tea trees that in China are referred to as half-tree tea bushes. 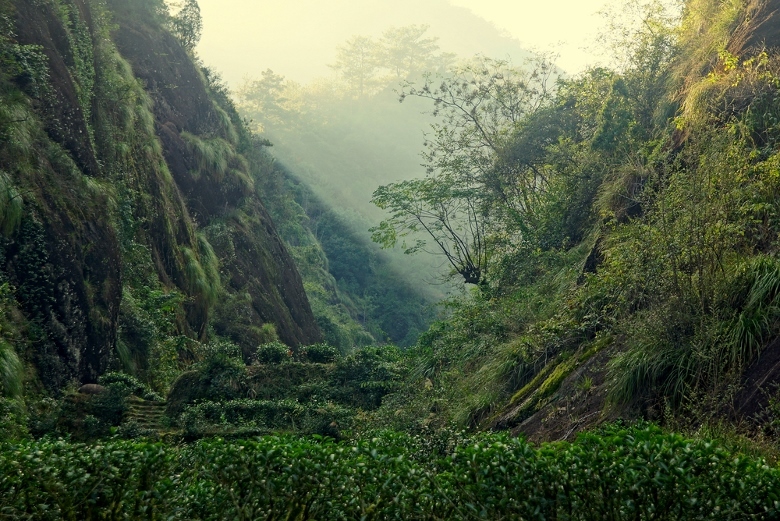 An example for such would be the various sub-varieties of the Dancong tea bush variety, at home in the Fenghuangshan “Phoenix” region in the south Chinese Guangdong province.